Insomnia is the most common sleep disorder and it may cause you to not get enough sleep or wake frequently during the night. If your difficulty sleeping persists and lasts for more than 3 months, it is called chronic insomnia. What causes long-term insomnia? Can it manifest as the result of another sleep disorder or medical problem? These are common questions among people who have trouble sleeping and any number of potential causes may be affecting you. The relationship between insomnia and psychiatric conditions is well established. Difficulty sleeping, especially waking early in the morning, is a characteristic symptom of depression. Post-traumatic stress disorder (PTSD) is likely to cause nightmares that may disrupt sleep as well. Moreover, anxiety and panic attacks may also have a role in causing insomnia. The relationship is complicated by the fact that insomnia may worsen any of these conditions because your body is not getting the sleep it requires. In fact, insomnia is associated with a higher risk of suicide. Any medical condition that causes pain or difficulty breathing may disrupt your sleep. Additionally, the stress that can result in dealing with an illness can also keep you awake at night. There are also a number of disorders and medications that may cause frequent trips to the bathroom to urinate during the night. This is known as nocturia it can relate to a number of conditions, including sleep apnea, diabetes, or prostate problems. Neurological disorders may become a factor in insomnia as well. For instance, Parkinson’s disease causes a reduction in movements, even during sleep. This may lead to stiffness and discomfort when the person fails to turn in bed as they normally would. It's also important to keep in mind that disrupted sleep may be an early sign of dementia. Alzheimer’s disease, for example, is known to change the pattern, or circadian rhythm, of sleep. There are a number of sleep disorders that may disrupt your sleep. These are important to diagnose as the treatment is different from that of insomnia. For example, if you have trouble breathing at night because of sleep apnea, this may lead to frequent awakenings. These awakenings may cause excessive sleepiness much like insomnia, but the remedy may be an intervention such as continuous positive airway pressure (CPAP). Similarly, abnormal movements during the night caused by restless legs syndrome (RLS) or periodic limb movement syndrome (PLMS) will require unique treatment. Likewise, problems with your biological clock, or circadian rhythm, may lead to its own set of circadian rhythm disorders. Night owls may need to observe a strict sleep schedule and get morning sunlight daily upon awakening to avoid chronic insomnia. The side effects of a number of prescription medications can include a disruption in normal sleep patterns. However, one study found that these warnings likely do not apply to everyone taking a particular medication. Instead, it is a generalization that it may occur in some people who take it. Disturbances in sleep have been found to be prevalent in people who use illicit drugs as well. ​Researchers also report that the length of drug use plays a significant role. It is not limited to illegal drugs like heroin and methamphetamine, either. Alcohol and cigarette smoking can also disturb a person's sleep patterns. Primary insomnia means that there is no identifiable cause for long-term sleep loss. This is often determined only after careful discussion with your doctor, who has ruled out all other causes. The most effective treatment is cognitive behavioral therapy for insomnia (CBTI). This 6-week program can be pursued through one-on-one sessions with a sleep psychologist or via workshops, online courses, or with a book guide. 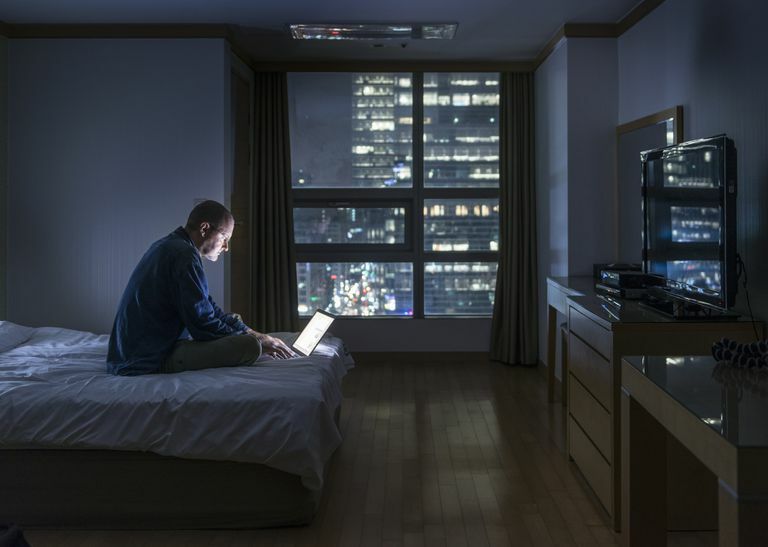 Chronic insomnia can have a significant impact on your daily life. If you find yourself struggling to sleep, it is recommended that you speak with your doctor to be referred to a board-certified sleep physician. They will be able to determine any potential causes and discuss the treatment options available to you. Bonnet M, Arand D. "Patient Education Insomnia (Beyond the Basics)." UpToDate. 2017.